Living Lean for Life – Let’s start your transformation today! It’s not a magic formula. It’s a strategic 12-month fitness & nutrition plan built by experts with you in mind. Let’s start your transformation today. No more afternoon energy slumps. You will learn how to implement small changes that will give you natural energy everyday. End the weight loss/weight gain cycle for good. You will get simple tools and resources to ensure you know how to maintain a healthy weight for the rest of your life. You won’t be counting calories, weighting meals or restricting food. This is nutrition for real life; no diets allowed. You don’t have to do this alone anymore. I’ll be by your side every step of the way, coaching you through this journey. Your lessons will be delivered through daily emails. 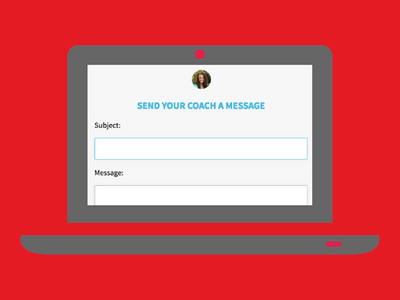 You will have access to your coaching program from any computer or mobile device 24 hours a day. There has never been a better time to join a community of over 45,000 people who have lost over 900,000 pounds of body fat. 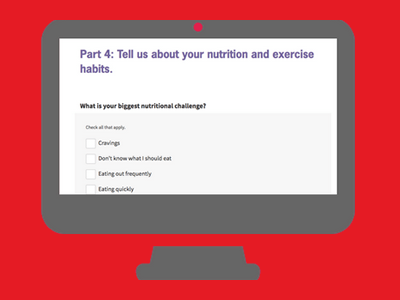 All of the lessons used in our nutrition coaching program are backed by science, research-driven and proven effective by thousands of lives already changed. Skip the next 21 day program that comes across your news feed and start experiencing life-long results today. Your first assignment will be to complete a comprehensive assessment. The answers to your questions will give me a clear picture of your goals and how I can best help you achieve them. Each day you will get a short lesson to read and a habit to complete. 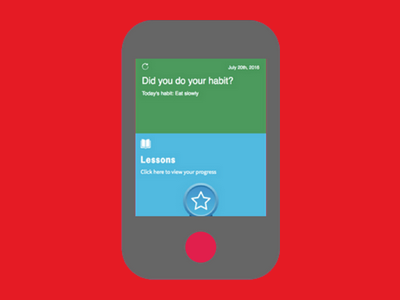 I will ask you to complete each habit for 2 weeks before moving on to the next one. You will have the ability to message me at anytime. I will have a dashboard that shows me your progress and the answers to your daily lessons. We will build a relationship based on regular communication and trust. Through our online coaching, you will get a daily lesson and a habit to practice. I will be by your side to give you regular feedback. You can also reach out to me directly anytime. Take a peek behind the scenes to see exactly how the program works. This program is for the person who is fed up with fad diets and is ready to get in the best shape of their life for the rest of their life. It is for the person who values the accountability of having a coach with whom they can build a solid, supportive relationship. It is for the person who is committed to making small, actionable steps every day. This program is not for the person who wants a quick-fix diet plan. It is not for someone who wants a specific meal plan or macronutrient profile. This program is not for someone who isn’t willing to invest at least 15 minutes every day toward achieving their goals. This program is not for bodybuilders, competitive athletes or anyone who already has all the accountability they need. This program will absolutely work for you if you put in the work for the full 12 months. This program will work if you read the lessons every day and implement the habits & actions provided to you. Do you really guarantee your program? Yes! The program is 100% guaranteed if you pay in full (12 months) at the time of purchase. In order to get your money back you must complete the entire 12 months of the program with an 85% completion rate of all the lessons. If after 12 months, and 85% completion rate, you are not satisfied with your results, you are eligible for a full refund of your investment. No. I don’t give meal plans for several reasons. Most people don’t follow a meal plan for more than a few days. Most meal plans are unrealistic for your busy lifestyle. Giving you a meal plan doesn’t teach you how to make the changes for yourself. I’ve been a fitness and nutrition coach for well over 20 years. I have a Master’s Degree in Education and I am a published author on the subject of coaching through change. I am a Certified Pn2 Coach through Precision Nutrition, a certified Personal Trainer and a Transformation Specialist! I am a proud military mom, wife, small business owner, professional physique athlete, and author – and I know firsthand how difficult it can be to maintain a healthy lifestyle in our crazy, busy world. Within 24 hours after you pay you will get a welcome email from me with instructions on how to complete your initial coaching assessment. After completing your assessment, your first coaching lesson will begin on the Monday after you have sent in your assessment, and I will email you with your Quick Start Guide. From then on you will have a straight line of communication to me at anytime. I’m committed to responding within 24-48 hours. Let’s start your transformation today!